Athens: Hill Street Press, 2000. First edition, limited to 100 hand-numbered and 26 lettered copies. This is copy #23. Full cloth with gold foil lettering on spine. Edited by Jane Eskridge. Japanese linen covered boards. Issued w/o dustjacket. 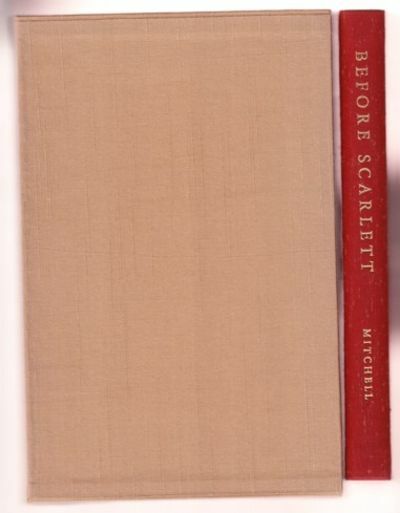 Cloth-covered slipcase. Contains short stories, journal entries and a one-act play completed at age seventeen by Mitchell. Many previously unpublished photos. 200+ pp. Unread copy in Fine condition in a Fine slipcase.. First Edition. Hardcovers. 8vo - over 7¾" - 9¾" tall. Limited Edition.